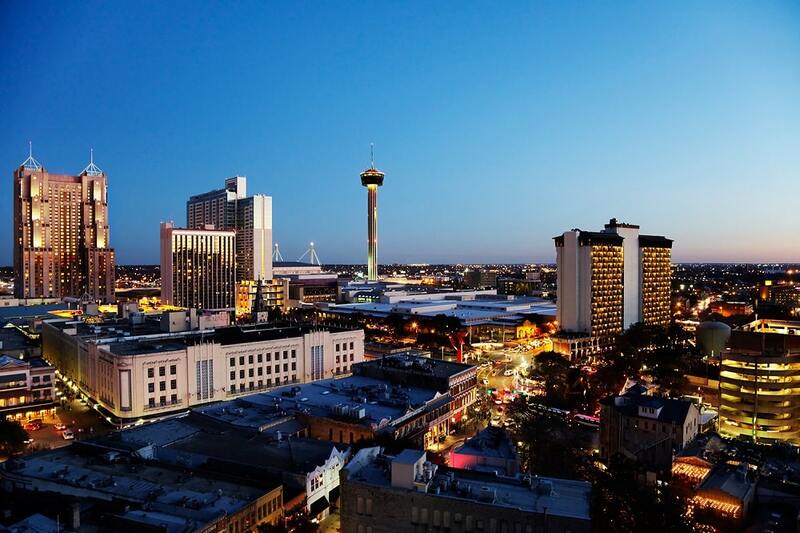 In 2017, San Antonio was chosen as one of UNESCO’s three Creative Cities of Gastronomy in the United States. According to UNESCO, this city has an extremely innovative and health-conscious food scene. San Antonians place a particular focus on urban agriculture, which is why many restaurants grow their own food. It’s not surprising that the city’s vegan and vegetarian restaurants are well-liked, but how do you find the best vegan eats in San Antonio? Here is a list that covers some of the best vegan restaurants San Antonio has to offer. If you’re not sure where to dine out while visiting the Alamo, this selection might give you some ideas. Even native San Antonians might discover a new eatery or café. Let’s start the lineup with a veggie burger stand. Earth Burger has a location on Northwest Loop and another on Nacogdoches Road. Their roasted quinoa-lentil burger is particularly popular, and it’s served with traditional garnishes, such as pickles. You can also opt for the fishless fillet or the spicy vegan chicken sandwich. In addition to fries, you can order apple slices, hummus, or kale salad on the side. Earth Burger also offers brownies and coconut soft serve. Thai Vegan is one of the best vegan restaurants San Antonio has to offer to fans of East Asian cuisine. The ambiance is calm and cozy, making this restaurant a lovely choice for a family outing. You can find Thai Vegan on Huebner Road. The menu is extensive and entirely plant-based. Their specialties include soy fish in sweet chili, soy shrimp spinach noodles, and pan-fried soy chicken with peanut sauce. If you prefer to avoid soy, you can sample the stir-fried green beans or the chili eggplant. As for dessert, you can try banana spring rolls, green tea ice cream, and a few more Thai delicacies. Located on North St Mary’s Street, La Botanica is a restaurant and bar with a considerable tradition. They host community discussions and music events, providing a welcoming and bohemian atmosphere. La Botanica offers a selection of creative drinks that features house-made cucumber fresca. There are also excellent vegan snacks to choose from. You can grab an empanada or try the deep-fried rice balls with red beans. They occasionally offer seasonal eats as well. Although they aren’t exclusively vegan, this sushi bar offers filling and mouthwatering plant-based dishes. Sushi Zushi features seaweed salad, Japanese cucumber salad, and various veggie spring rolls. They have four locations across San Antonio, including one in Stone Oak Plaza. In the 19th century, Pearl was a brewery. Since 2001, however, it has grown into a complex cultural-culinary space. If you’re hoping to go shopping, attend an art exhibition, or relax at a spa, you won’t be disappointed by Pearl. There are various restaurants worth visiting at Pearl, and many of them serve vegan options. The most notable is Green, as this is the city’s only kosher vegetarian restaurant. You can find Green on East Grayson Street. They offer a variety of comfort foods, including plant-based chicken marsala, veggie bowls, and vegan fish and chips. All of the dishes come in vegetarian and vegan forms, so make sure to clarify your preference when you order. You can find Tapatio Vegan Tacos on South Alamo Street. This is a vegan food truck vendor serving authentic Mexican and Tex-Mex specialties. They use cashew milk cheeses, jackfruit, and wheat-based meat substitutes. In addition to the wide selection of tacos, you can go for the burritos and the molletes. Located on Westmore Road, Munch On offers a wide selection of snacks and beverages. You may enjoy the enchilada casserole or the vegan shepherd’s pie. There are tamales and quesadillas as well. Munch On is best-known for the desserts. You can opt for cheesecakes served in Mason jars or you can sample the cookies or the stuffed dates. For a quick but healthful breakfast, consider the Acai bowls or the smoothies. Pavani Express is a simple Indian eatery located on Evers Road. While they aren’t vegan-only, this restaurant serves a wide variety of vegan dishes. You can opt for one of their dosas and eat it with lentil soup. Don’t miss out on the Gobi Manchurian, a traditional recipe based on cauliflower. If you haven’t tried boba tea before, you’re in for a treat. This is a popular Taiwanese drink and Boba Tea Garden can give you the authentic boba experience. These drinks are based on tea, but they come with various toppings. At Boba Tea Garden, you can try boba with the usual tapioca balls or with various jellies. There is brown rice protein boba as well. This café also offers vegan meals made with East Asian recipes. For example, they serve grilled lemongrass tofu, spring rolls, and seafood noodle soup. You can find this restaurant on Culebra Road. Viva Vegaria is located on Nogalitos Street. If you are looking for gluten-free Tex-Mex dishes, this is one of the best vegan restaurants San Antonio has to offer you. Everything on the menu is made fresh using vegan ingredients. You may enjoy their selection of taquitos, all served with charro beans and Mexican rice. Viva Vegaria also offers nachos, enchiladas, tacos, and Buffalo wings. If you’re in the mood for a raw salad, go for the stuffed avocados. Dairy-free vegan ice cream isn’t easy to hunt down, especially if you prefer unusual flavors, but Lick Honest Ice Creams has a delightful vegan selection made from coconut milk. Their scoop shop is located on Pearl Parkway. If you’re in the mood for nutty richness, try the black sesame black rice flavor. You may want to combine it with a scoop of peaches and coconut cream. As for sauces, this ice cream shop offers vegan chocolate and house-made caramel. Bok Choy is located on Broadway Street and offers a cozy ambiance. This vegan restaurant serves Asian fusion cuisine and their selection is extensive. Don’t miss out on the yellow curry tofu or the rice noodles with Thai basil. The drinks menu features Vietnamese coffee and boba tea. You can find dishes from many different cultures in the city’s best vegan restaurants. San Antonio is well-known for its Tex-Mex cuisine, but it’s also easy to find East Asian, South American, and Mediterranean delicacies. There is something in this city for everyone.